Bil-Jax, Inc., a leading manufacturer of scaffold and aerial lifts since 1947, has announced their new 4527A Articulated Aerial Work Platform. The trailer-mounted boom lift provides 51 of working height, 27 outreach, 20 9" up and over height, and features an automatic, self-leveling hydraulic outrigger system that allows for setup in 30 seconds when all four outriggers are deployed simultaneously. This new 4527A Articulated Aerial Work Platform is available with either 24v DC battery power or a combination DC and Honda gas hybrid engine package. 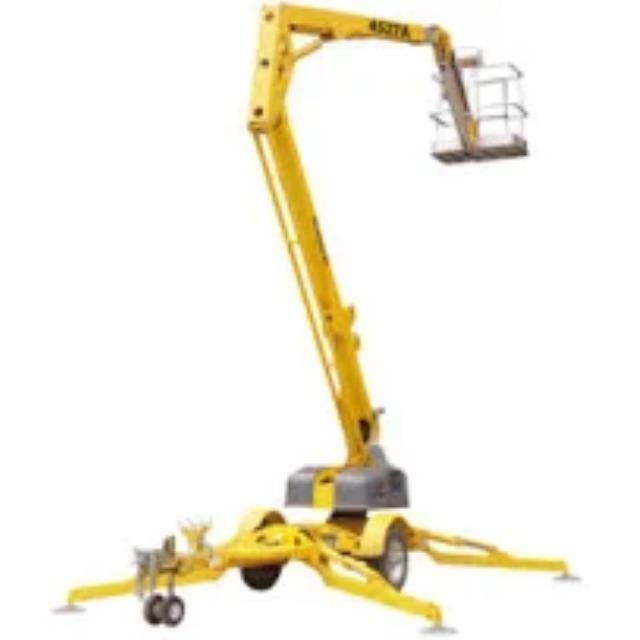 * Please call us with any questions you may have about our towable articulating boom lifts rentals in Dallas and the DFW Metroplex.